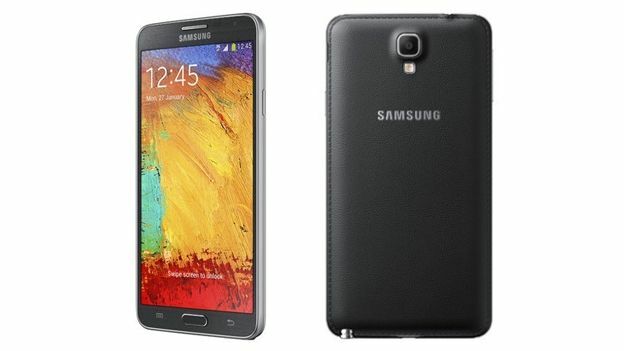 Samsung Poland has officially shown off the rumoured Galaxy Note 3 Neo. According to the company, the Neo will come in two versions – a 3G version and 4G model. The 3G model will come with a quad-core 1.6GHz processor while the LTE model will come with two 1.7GHz Cortex-A15 cores and four 1.3GHz Cortex-A7 cores. Both models will come with 5.5-inch AMOLED displays, 2GB of RAM, 16GB of storage, an eight megapixel rear facing camera and two megapixel front facing camera. They will also come with MicroSD card support and a 3,100mAh battery. Compared to the Galaxy Note 3 that shipped, the Neo has specifications that are down a touch. The Neo also has 0.2 of an inch shaved off the screen. According to Samsung Poland, the handset will begin shopping in February. The company has not revealed pricing for the handset. We'll probably get more details about the handset at Mobile World Congress next month.